We did it! 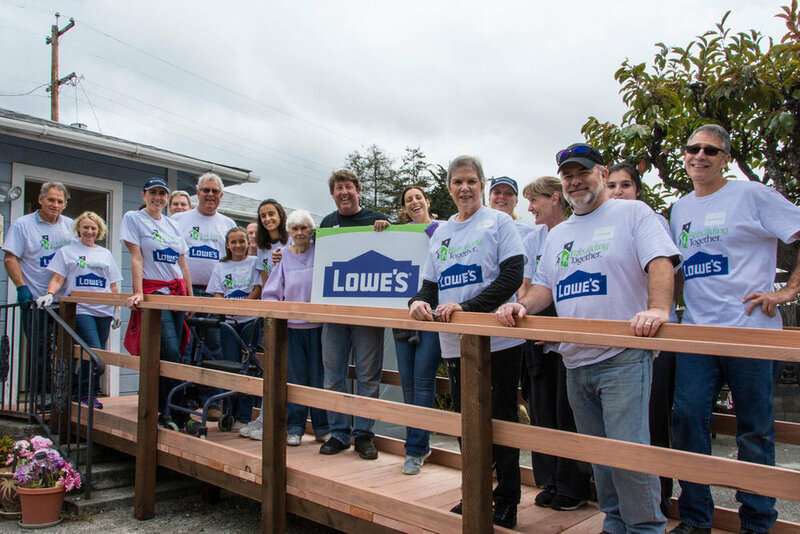 Our October 2016 build day came and went with great success thanks to house captains Bob Tuttle, Warren Theuret, Adam Payne, Dave Raffi, Bill Tallman, Pete Sand, Jim Fitzgerald, Ken Rhoads, Lon Wiley, Vince Malnati, and Lew Spengler, support from Lowe's and Home Depot, participation from local businesses like Ohana Construction, Roman’s Plumbing Kiwanis Club, Top Speed Data Communications, and Goldenstate Lumber and of course our 245 dedicated, hardworking, outrageously talented and deeply appreciated community volunteers. Shown above is a slide show of our incredible volunteers from our many October projects. 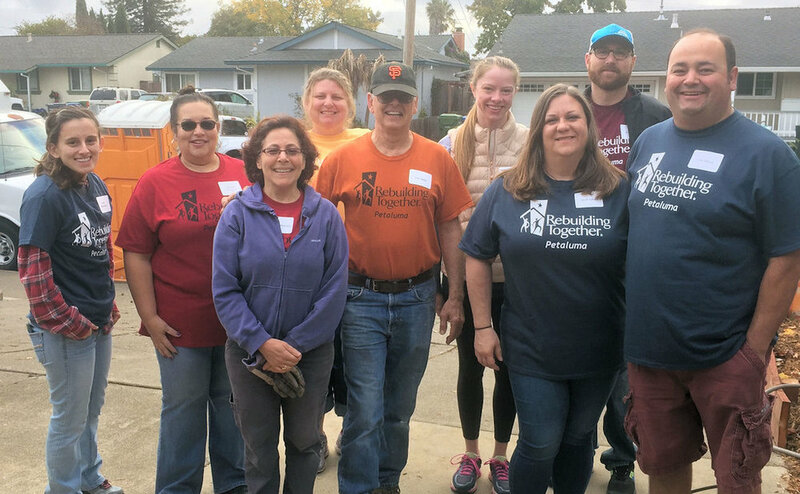 With your help, we were able to repair the homes of four deserving local seniors, fix up Petaluma COTS veteran housing, and help with community projects like the Petaluma Wetlands Alliance restoration efforts at Alman Marsh and Daily Acts' work on a student garden at McKinley Elementary School. Volunteers hard at work in the home of a Petaluma Neighbor. There was also a very special project this year, and that was the renovation of our very own future home at the Petaluma Fairgrounds. With help from our incredible volunteers, our new office is well on its way to being a space where we can welcome new clients and continue to serve our community. You will all be invited to the open house! Everyone did incredible work and this year we weren't the only ones to notice! Stories from the build were featured in the Petaluma Spectator Blog, Argus Courier, and even NBC Bay Area! A big thank you to all who participated. We hope to see you all again on April 29th for our Spring Volunteer workday!